NEW YORK, Nov 6, 2010 / FW/ — Thursday night, ZYNC from American Express and Lucky Magazine hosted the 10th Anniversary Lucky Shops VIP Night at the Metropolitan Pavilion in New York City. The newest charge card for the younger generation, ZYNC from American Express strives to present its Cardmembers with experiences and access to what they feel most passionate about, such as fashion. The latest offering is the Lucky Shops 2010 shopping which featured over 60 designers and retailers from fashion icons and cult favorites to up-and-coming brands. Favorite fashions, handbags, shoes, jewelry and more were available with items selling at up to 70% off retail. Fashionistas at the event were the first to peruse one of the largest shopping events this year while enjoying drinks, mini hors d’oeuvres and great beats from the DJ. 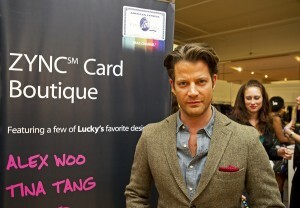 Celebrity attendees included Hilary Duff, Mary Alice Stephenson, Michelle Trachtenberg, Lesley Hornby and Nate Berkus.